I have always wanted to grow my own vegetables and now this dream has come true thanks to my dear companion. 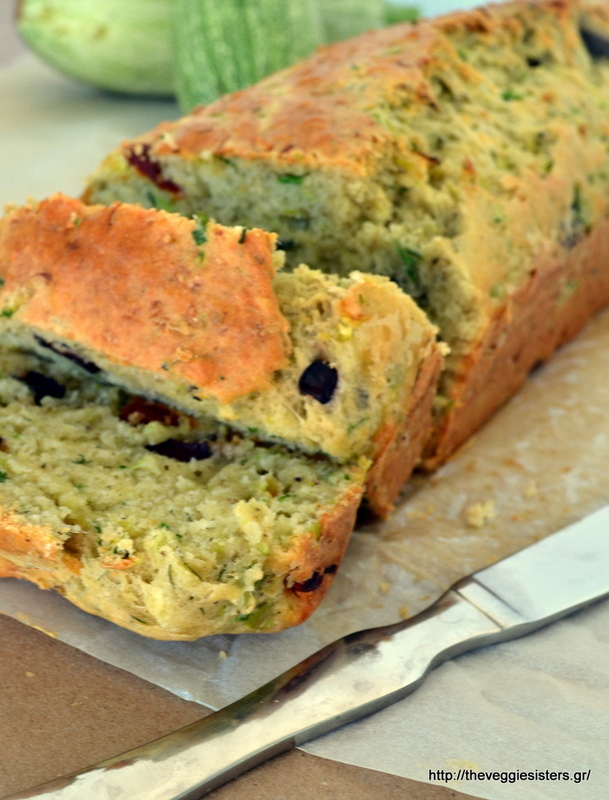 I am so excited about this recipe because it is the first I am making with veggies from our garden! It is so nice to use your own vegetables that were grown only with water, sun and love! 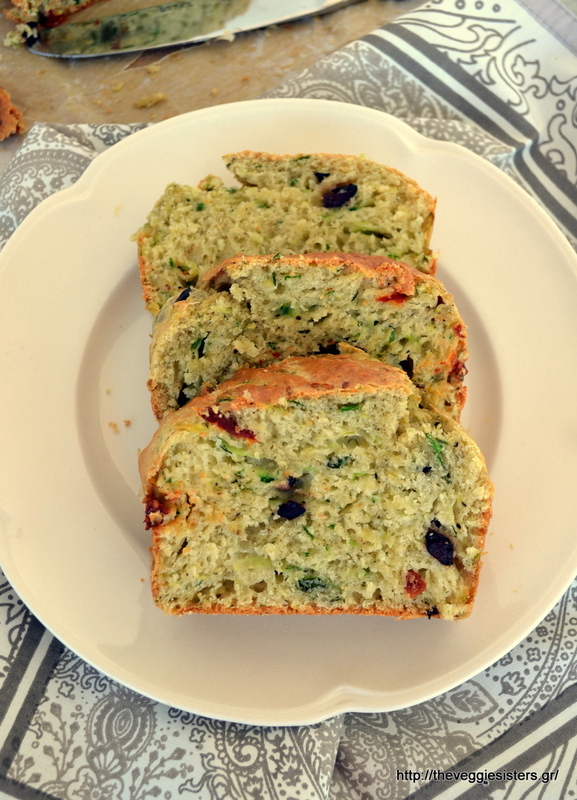 So here you are: a delicious savory cake made with our zucchini and Yoleni’s amazing products such as these cute little semi sundried tomatoes or these tasteful Kalamata olives that boost the flavor of the cake. Next week we have a surprise for you! Yoleni’s will make us play a game and you will have the chance to win! So stay tuned! In a bowl combine flour, salt, baking powder, pepper. Add herbs and cheese. In another bowl combine olive oil, milk, eggs and oregano in oil. Add scallions. Then combine the mixture with the dry ingredients with the wet mixture. 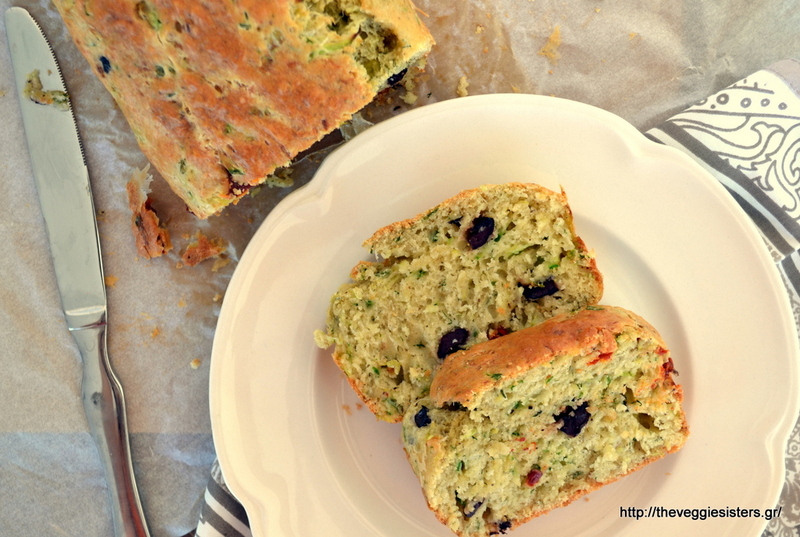 Fold in zucchini, olives and cherry tomatoes. Empty batter in a cake tin lined with parchment paper and bake in preheated oven at 180 C for 40-45 minutes. Enjoy! 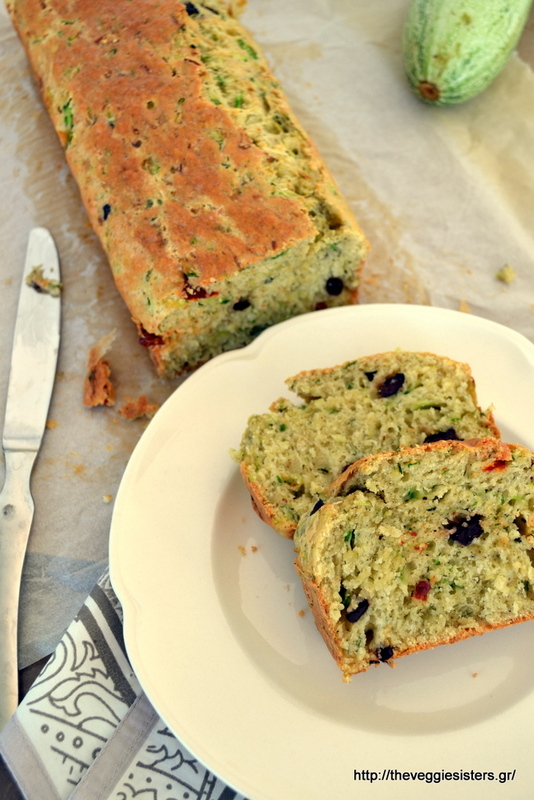 Share the post "Μediterranean zucchini bread with semi sundried tomatoes and olives"